The model on the left is an adaptation of the original James Reasons' Swiss Cheese model. It was adapted to represent a slot machine to make it more interactive. When the holes line up, you lose not win. The holes represent hazards, some of which may lay dormant for a long time until an "active" failure and an accident reveals them. 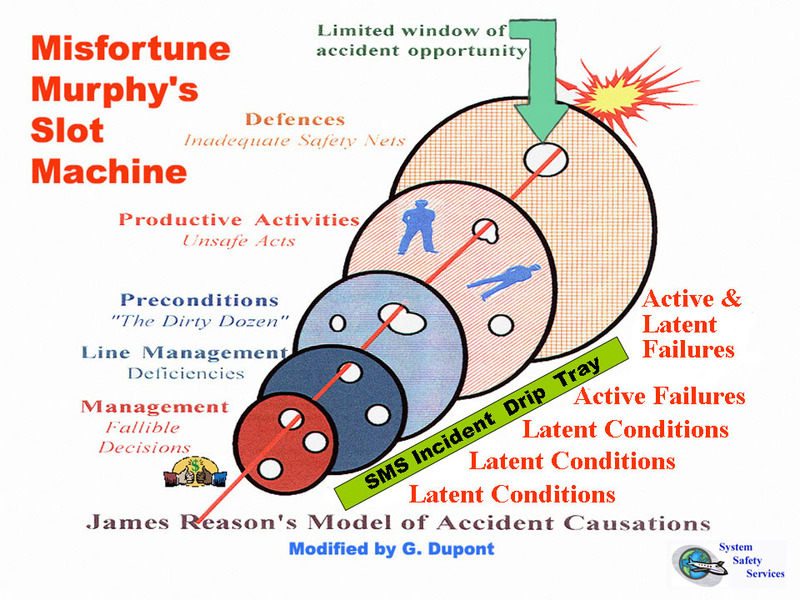 It was further adapted to represent the role of a Safety Management System by adding a "SMS Incident Drip Tray". The purpose of the tray was to gather information that would reveal the hazards without having to have an accident. System Safety Services calls this tray a "Free Lesson Tray". For further information on this model please view our PowerPoint Presentation below. In the interest of Aviation Safety, you have permission from System Safety Services to use this presentation provided no changes are made without written agreement. 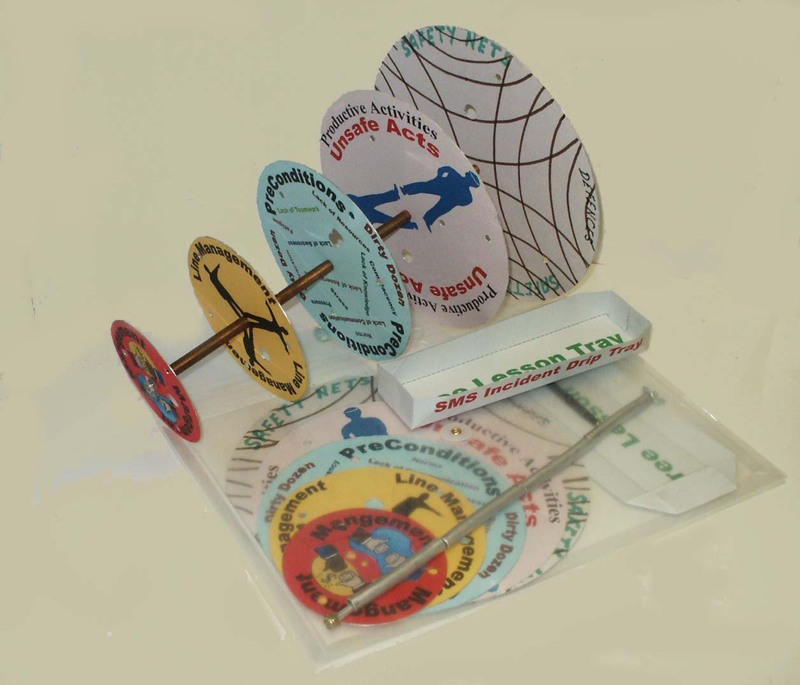 System Safety Services will be pleased to provide a kit containing: 1 Management Disk, 1 Line Management Disc, 1 Preconditions Disk, 1 Unsafe Act Disk, 1 Safety Net Disk, 1 Connecting Rod with wing nut, 4 spacers, 1 SMS Drip Tray, 1 Pointer Expandable, 1 DVD PowerPoint Disk. All of the above come in a plastic carrying case. You may order this kit for $190 using the order form below. Should you wish to build your own Model, click here for the directions. A model takes approx. 20 hours to fabricate.